mercor tecresa® marked its 20th anniversary and we celebrate it launching an improved website, in accordance with our philosophy and company values. 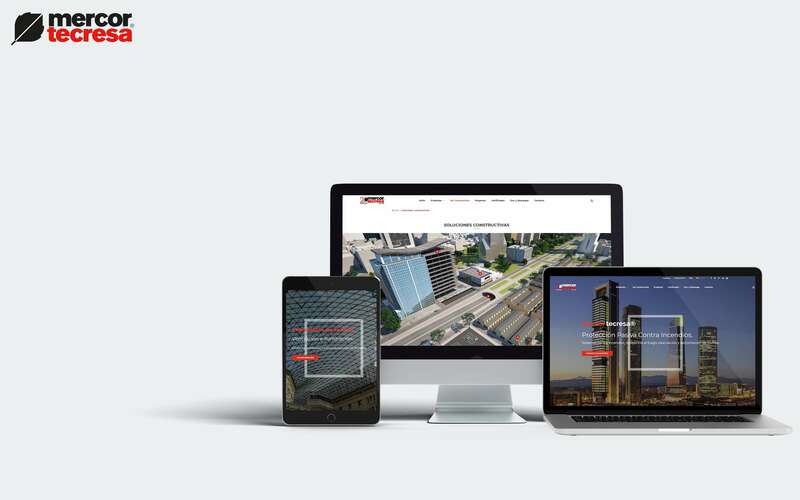 We reinforce our online presence with a web that offers and facilitates the access to the complete mercor tecresa® catalogue, where we have included our latest developments, such as the Tecsel Collar® for plastic pipes partition, among other products updates and practical information. Thanks to its responsive design, you can easily navigate and download each product documentation and constructive solutions from any place and device. We have also enabled an easiest and efficient contact form to get in touch with our Area Managers. In 20 years, mercor tecresa® has not stopped in R&D investment to create solutions specifically intended to passive fire protection. We want to approach and share our progress with you. Join us and find out our services. Should you have any suggestion about the website, do not hesitate to contact us sending an email to info@mercortecresa.com.